During the worst week of her life, Raleigh Harmon discovers her destiny. Her best friend is a smart-mouthed genius girl named Drew Levinson. But Drew is gone. Everybody insists she ran away. But Raleigh suspects something darker. Armed with one rock hammer, an encyclopedic knowledge of city criminal codes, and a stubborn streak wide as the Chesapeake Bay, Raleigh searches for clues. Did Drew secretly meet somebody? Did her loony parents finally push her over the edge? Or is Raleigh's hunch dead-on-Drew didn't choose to leave. 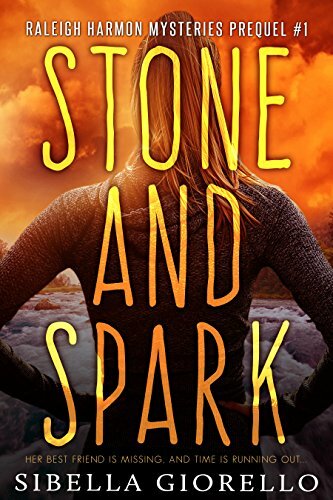 The first book in the best-selling Raleigh Harmon mystery series, Stone and Spark introduces the girl who will grow up to become a forensic geologist and FBI agent-provided she survives her high school years.